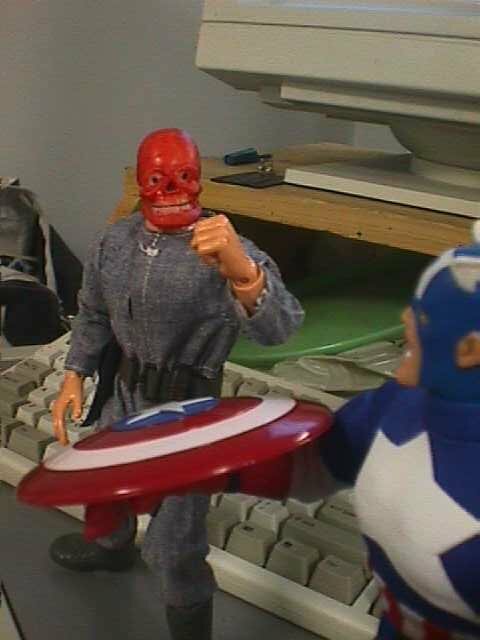 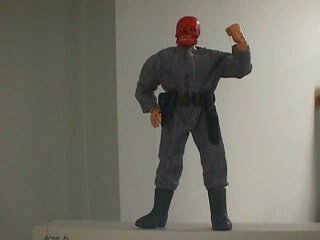 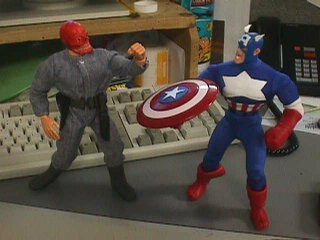 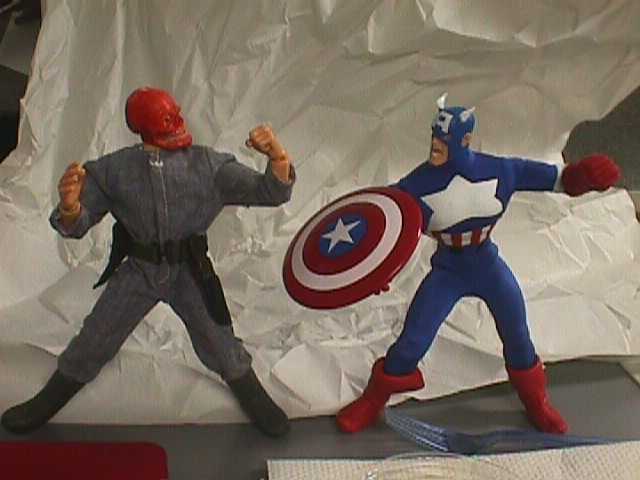 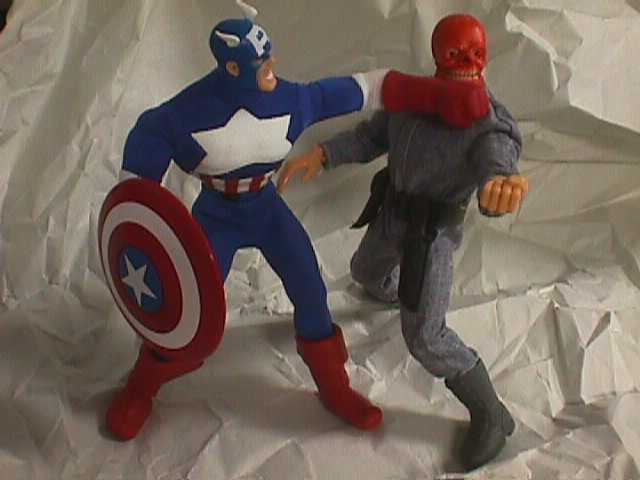 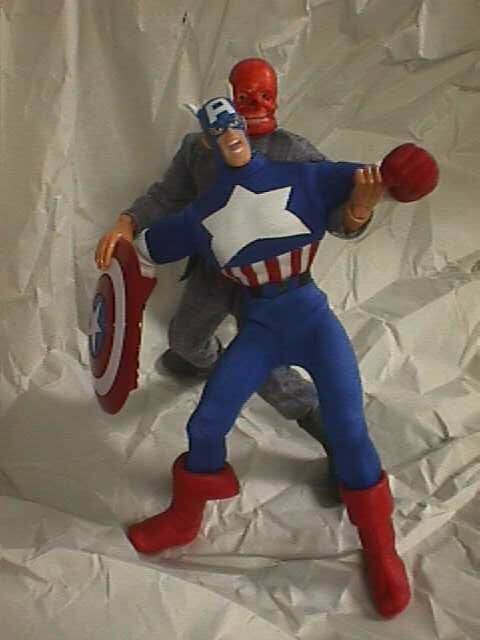 The Red Skull is a Captain America body (appropriate, as he's a clone of Steve Rogers, unless they've changed him) with the head shaved down and covered with a Skull from a stupid little bendy glow-in-the-dark Halloween skeleton. It was colored red with a red "Sharpy" permanent laundry marker. 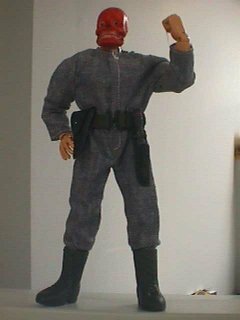 His jumpsuit is from an old Big Jim costume -- no, I don't remember which one -- with boots from a "Soldiers of the World" WWII Infantry uniform, and a gunbelt from an "Ultimate Soldier" Special Forces Ranger.